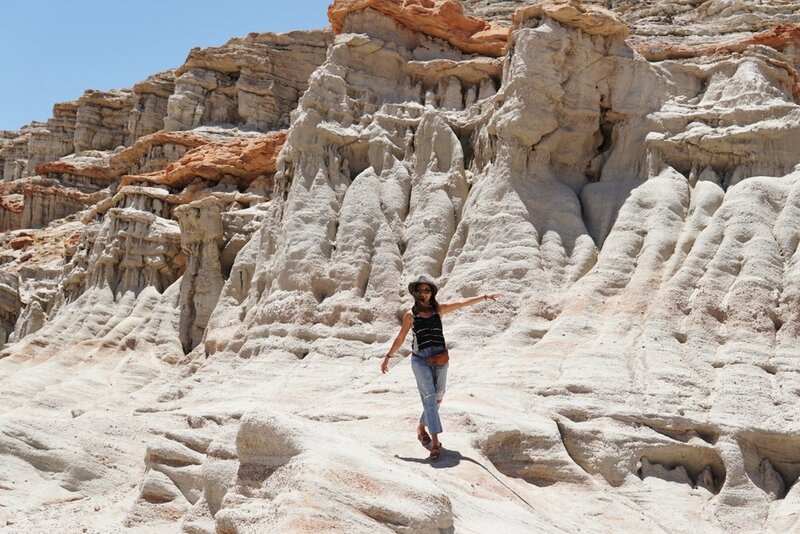 Red rock canyon lies right off the 14 and features gorgeous multi-colored rock formations. The facade is swirling mix of reds and whites. The park is located where the southernmost tip of the Sierra Nevada converges with the El Paso Mountains. You can also hike and camp here, but we just stopped to snap some photos and take a closer look on our way to Mammoth Lakes.